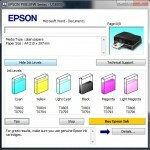 Option 1: Using the Start Menu, select Printers and Faxes (or Devices and Printers on older models). A list of the printers connected to your computer will come up. 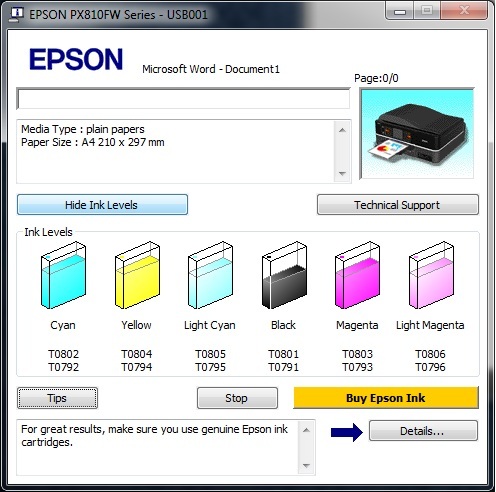 Select the device you would like to check the ink levels for and open the Properties box. Beyond this point, look for options such as Maintenance, Supplies Status, etc. Option 2: Click on the printer icon that is in the bottom right corner of the monitor. The box that pops up will either take you directly to a Maintenance option or Printer Settings. Some printers will require you to dig down into the Toolbox, where there will be a tab for ink information. If this guide has not helped you, check your manual or search the internet for specific instructions based on your model number. If your machine is extremely old, monitoring the status of ink levels may not be an option.